Be Selective. Look at all the events in your selected business area and do your homework. Ask others in your network what events they go to and get their insight. We can always make money, but never make time. Choose what events you will attend wisely and attend them regularly. You cannot build relationships based on a one shot mentality. When you attend an event you will meet new people, when you attend that event again you will cultivate the relationship that started at the last event and build upon it. Look, Listen and Learn. Be very cognoscente of your surroundings and watch how other professionals handle themselves at each event. Listen carefully as other networkers introduce themselves to you and how they explain what they do and what they are looking to accomplish while they are there. The best and most polished professionals accept the fact that they will never stop learning. Learn from those who are where you want to be in your profession and always be in learning mode. Master Your Message. A business networking event is a great place to become one with your message and become unconsciously conscience of what you say and do. You have 30 seconds to convey who you are, what you do, what makes you different from others and why someone would want to work with you. That message needs to be the same to all. The more you listen and learn from others and the more you repeat your message, the more refined it becomes and the more polished you become. Position Yourself as “The Expert” in Your Field. People don’t care what you know until they know that you care. Caring about your industry will show through by your level of knowledge of your industry and its trends. If you were to refer someone to a professional, you would want to know that they will be in good hands, so would others when they refer to you. Increased Visibility. As the saying goes, ” Out of sight, out of mind.” If you are going to look to establish long lasting business relationships, you first need to establish yourself as a networking professional that others would absolutely want to have in their network, showing up is 80% of the success you will have as a professional business networker. When others see you appear at different business networking events, their acceptance for you grows stronger and you will attract top networkers to you. New Business Relationships = New Business. Strategic alliances, joint ventures, quality recruiting, and referrals are but only a few of what comes from a new business relationship and new business relationships start very nicely at business networking events. Attending the event itself is very important but only the first step. The fortune is in the follow up. Everything depends on everything you do with your new found business relationship after the event. This will turn your new relationship into new business. Look to Build on the Tools of Your Trade. Networking events are not only a great way to build upon your business by getting new business, it’s also a great way to find professionals that will help you make your business run smoother. Networking events attract sales professionals, attorneys, accountants, marketing professionals, website developers, promoters and many others that can help you along in making things run smoother in your day to day business. Watch for those people and ask how they can help you. High Touch Meets High Tech. Going out and meeting people face to face and looking them in the eye while shaking their hand triggers a bunch of emotions that compels others to react to you, that is exactly what networking events do. The next step is where high tech comes in. Once you have triggered those emotions connect with each of those professionals in social media on LinkedIn, Facebook, Twitter and other social media outlets. This will give them a chance to keep you in their sights and on the front line of their day to day communication outlets while getting to know you better. Lie, Cheat and Steal. Lie in bed at night thinking where you want to be in terms of success in your business profession and what you will do to attain that success. Cheat away some precious time from your schedule to attend business networking events every week. Steal the best introduction lines and questions from the best professional networkers you meet and tweak them to make them your own. In Philadelphia, New Jersey , Delaware area? I invite you to attend The Ultimate Networking Event Live, Philadelphia, South Jersey and Delaware’s Premier Business to Business Networking Event since 2009. PLEASE NOTE: All articles and networking tips in this BLOG are written by Thomas Camarda. All reprints in magazines, periodicals, newsletters, newspapers, e Zines, on the Internet or on your own Website MUST receive the full written and expressed permission by Thomas Camarda. If you would like to request permission to “REPRINT” an article please email Thomas@TheUltimateNetworkingEvent.com with “REPRINT” in the subject line. Please specify which article from “Becoming The Ultimate Networker” you wish to reprint and where you will be reprinting it. If you reprint on a website, please include the URL and the date the reprint will appear. If you reprint in print media, please request the address you will sent the publication to. Copyright © 2014 – Thomas Camarda. Reprinted with permission. This article is adapted from “Becoming The Ultimate Networker” at http://BecomingTheUltimateNetworker.wordpress.com Thomas Camarda is a professional networker and speaks at networking events and seminars nationally. Thomas offers networking coaching, both one-on-one or for your Networking Group. Invite Thomas Camarda to speak to your group. This entry was posted in B2B, business, Networking, Philadelphia, the ultimate networking event, Thomas Camarda, ultimate networking, Uncategorized and tagged becoming the ultimate networker, business, business mixer, business networking, business relationships, communicate, communication, events, how to network, meetup, networking, networking in philadelphia, personal business cards, philadelphia, Philadelphia Business Journal, Philadelphia Small Business Administration, relationship marketing, the ultimate networking event, thomas camarda on September 8, 2014 by thomascamarda. 5 Powerful Questions to ask at a Networking Event. Basically, it’s curiosity that drives them and they don’t stop until they get the answer they want. The same technique works at a networking event, and the same 5 words that we used as children work as well today as they did then. Here are 5 questions to ask to get the conversation going and keep your new connection engaged. Just out of curiosity, Why do you attend networking events? Have you ever notice the body language of someone when you ask a question? When you start a conversation with “Just out of curiosity” notice how most people will move in towards you. That’s because, by merely using the word curiosity, you have spiked their curiosity and now they’re listening and you’ve got their attention. This question is also a comfortable question to get them talking. You’re both at a networking event , so obviously it is something you both have in common and it gives you the bottom line on the real reason they are there. Where else do you network? 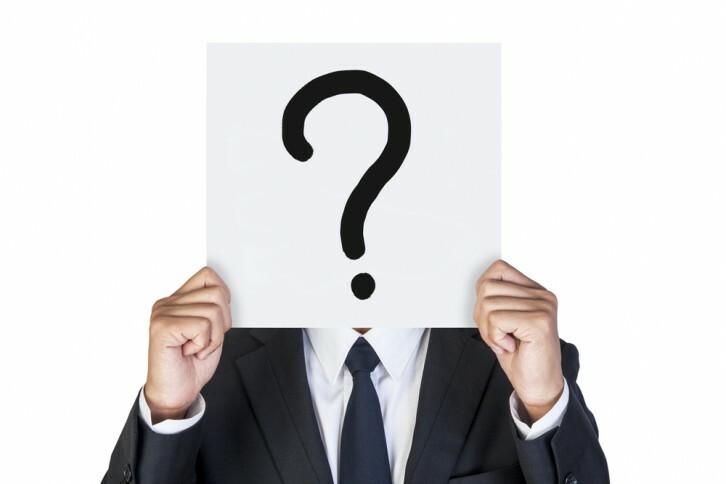 This question is good for a novice or a professional networker. If someone says that they really don’t do allot of networking because they don’t know of many other groups, you can be the knight in shining armor and invite them to other events you go to. If they start rattling off a list of other groups listen for the ones you attend, you may very well have common ground in finding that you know many of the same people and very well learn of a few other group you may like to attend. What do you like best about what you do? This is one of my favorite questions because it’s really 2 questions in one. What do you like best about what you do also answers the question “So what do you do?” This question, unlike the same old, What do you do, gets people in conversation mode rather than just giving you a short answer. When did you get started in that direction? This gives your new contact a chance to tell a story and people love telling stories, especially when the story is about themselves. Who can I help you meet? Now that you know what your new contact is all about, this is your opportunity to show them that you care and will be a valuable addition to their network. People don’t care what you know until they know that you care. Listen for the types of people they want to meet that you can introduce them to later or maybe even at that very same event. So, why should you use these very specific questions? Have you ever notice that the very questions you ask someone are the same questions they ask of you? This is a way for you to give them your story because they will most likely ask you the very same questions and now they truly want to know. it is very important that you stay on topic during conversation, and listen attentively. The information your new contact is giving you is very important to them and if your fidgeting and trying to get a word in it will show that you are not truly interested and you just want to give them your pitch. Learn to listen twice as much as you speak and the results will amaze you. Copyright © 2014 – Thomas Camarda. PLEASE NOTE: All articles and networking tips in this BLOG are written by Thomas Camarda. All reprints in magazines, periodicals, newsletters, newspapers, e Zines, on the Internet or on your own Website MUST receive the full written and expressed permission by Thomas Camarda. If you would like to request permission to “REPRINT” an article please email Thomas@TheUltimateNetworkingEvent.com with “REPRINT” in the subject line. Please specify which article from “Becoming The Ultimate Networker” you wish to reprint and where you will be reprinting it. If you reprint on a website, please include the URL and the date the reprint will appear. If you reprint in print media, please request the address you will sent the publication to. CONDITIONS: Once you have obtained permission, articles may be reprinted with the copyright notice, bio and links added at the end of each article as follows: Copyright © 2014 – Thomas Camarda. Reprinted with permission. This article is adapted from “Becoming The Ultimate Networker” at http://BecomingTheUltimateNetworker.wordpress.com Thomas Camarda is a professional networker and speaks at networking events and seminars nationally. Thomas offers networking coaching, both one-on-one or for your Networking Group. Invite Thomas Camarda to speak to your group. This entry was posted in B2B, business, career, goal setting, graduate, Networking, Newsweek, Philadelphia, success, the ultimate networking event, Thomas Camarda, ultimate networking, Uncategorized, young professional and tagged b2b, business card exchange, business networking, communication, facebook, linkedin, meetup, networking, networking in philadelphia, newsweek, questions to ask, relationship marketing, the ultimate networking event, thomas camarda, twitter on July 17, 2014 by thomascamarda. 5 Habits of Successful Business Networkers. It’s not just what you know, it’s who you know, that knows, what you know. Increasing business is the goal of every company, but the fact of the matter is, people do business with people they know, like and trust, not companies. Of course companies get the business, but it’s people who make it happen and business networking connects you with those people. Whatever it is that you need to become the success you want to be, is only one connection away. Here are 5 habits of highly successful business networkers that will help you build your professional business network. Always Keep Your Online Profile Updated. Do an online search of your own name and see what shows up. Would you do business with you? In today’s world it is so important to have an online presence and making sure your profile is up to date at all times. Get a professional head shot and use it in your profile. Update projects you’ve completed, goals you have accomplished, business awards you have won, and educational levels you have achieved. Always Have Business Cards. Although many people are of the thought that they don’t need business cards because of technology, I believe that as long as the Baby Boomer generation exists, you need legible business cards. They don’t have to be fancy and they don’t have to give your life story. Keep it short, sweet, and simple. A business card is simply your contact information, who you are and how someone can get in touch with you. Name, phone and cell number, physical address (if you work from one and meet clients there), email address, and website, in nothing smaller than 9 point type with no picture behind the type. Personal Visibility, Business Networking Events. An email or a phone call will never replace the feeling of shaking someone’s hand and looking them in the eye. Emotion is a tremendous part of the decision-making process and you don’t get an emotional response from an email or phone call from someone you don’t know. You do, however, get an emotional response from meeting someone for the first time, looking them in the eye, shaking their hand, and getting to know them. Remember, people like to do business with people they know, get to know people. Schedule at least 1 networking event a week. Smile, Listen and Learn. It’s been said that people don’t care what you know until they know that you care. It’s also been said that you have one mouth and two ears because you are supposed to listen twice as much as you speak. I say, use your mouth to smile and ask questions. Smiling puts everyone at ease and makes them smile. Questions gives the other person something to talk about and a feeling of control. The funny thing is, is that the questions you ask should guide them to feeling comfortable with you, and to the answers you seek about doing business with them. Smile, speak less and listen attentively, most of the time people will talk themselves into wanting to refer to you and do business with you. The Fortune is in The Follow Up. Most importantly, make sure to follow-up with everyone you meet within 3 days. The faster you follow-up with them, the more they will remember, so the sooner, the better. This is where you can have more of an opportunity to get to know them and how you can help them grow their business and yours as well with what you have to offer each other. This can be in form of direct business, or referrals, either way, it a Win-Win, and the beginning of a strong business relationship. I hope this helps you in building a strong professional business network. Happy networking. Put these valuable habits to good use, at The Ultimate Networking Event Live. This entry was posted in B2B, business, graduate, Networking, Philadelphia, the ultimate networking event, Thomas Camarda, ultimate networking, Uncategorized, young professional and tagged becoming the ultimate networker, Brynne Tillman, business, business card exchange, business mixer, business networking, business relationships, Center City Proprietors Association, communicate, communication, delaware, events, how to network, meetup, networking, networking event, networking in philadelphia, personal business cards, philadelphia, Philadelphia Business Journal, Philadelphia Small Business Administration, relationship marketing, the ultimate networking event, thomas camarda on July 1, 2014 by thomascamarda. 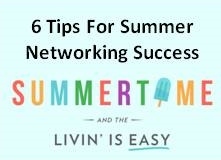 6 Tips For Summer Networking Success. “Summertime, and the living is easy,” and so is creating new contacts and connections. During the summer months, business networking events seem to cool down, but outdoor social events definitely heat up and everyone loves to have a good time. This is the perfect environment to create and build, long lasting relationships that could very well lead to big business. Whether it’s on the Sports Fields, Play Grounds, Vacation, Theme Parks, Neighborhood Festivals, or BBQ’s you are going to constantly meet new people. This is where “Unintentional Networking” happens. Why is it “Unintentional Networking” ? Because this is the time that we often don’t look at what we are doing as networking, rather just enjoying ourselves with family and friends, but in actuality these are the closest connections we have, and if paid attention to and approached properly, they can become some of your most valued business connections. Here are 6 suggestions on how to make summertime networking work for you. Always Be Prepared, Carry Business Cards. I cannot tell you how many times I’ve gone to personal functions and have asked for someone’s business card and they did not have one to give. Always have 5-10 cards on hand . Talk About Them, Ask Questions and Pay Close Attentions. The one thing I’ve learned over my 30 plus years of networking, people’s favorite subject is themselves. All you need to do is ask the questions, let them talk, and most important, pay close attention. People love to talk about their kids, so ask about their children and grandchildren. Ask about their home and if they are still living the same place, ask about their careers. You can be the catalyst to get them into full story mode, then just sit back, enjoy the conversation and listen, by listening attentively you will know if you will be able to connect professionally with them. Never Talk Business at a Non-Business Event. Always remember where you are and you will never overstep your bounds. Whether at a family or friend’s gathering, or on line at a theme park, remember you are out to have fun enjoying the summer, these are not business associates, that’s why you don’t talk business. If they do, don’t correct them, let them speak, but when they ask you about business, simply answer very briefly and follow it up with something like, “Hey, I don’t want to bore you with business talk here, let’s set a time to get together and see what we can do.” This keeps it social and they will know you are respecting there time as well. ” What’s the best time to call you, is ____day or ____day better? “What’s better, Morning Afternoon or Evening ? “Great is 7:15 good or 8:30 better? Multiple choice is always easier, having them choose a day and time out of their week is a lot tougher than simply picking one from the choices you’re giving. By giving them choices, you break down the barriers of confusion and they tend to remember you are calling them because they picked their own time to speak to you. While you have your phone out, put them in your calendar. I like to use Google calendar for this. Add them to your schedule and be sure to add them as a participant so your system will send them an email with your scheduled appointment and also send them a reminder. Remember this is a social function, so they will need to be reminded of your call. Connect Through Social Media. You would be surprised to find that the people that are close to you, really don’t know exactly what you do. Connecting with them on Linkedin, Facebook, Twitter and other sites will prompt them to get to know you more. Remember, you had them speak more about themselves while and they’ve realized that they don’t know you as much as you know them, you’ve created curiosity and now they want to know you. Be On Time. This is where most people fail, Be sure to call them or meet with them at exactly the time you have scheduled them. Understand that you have created curiosity and they are most likely looking forward to your call or meeting. At this point they have probably read your social media profile and they may have came up with a way to work with you. This is really your 1st impression to them, don’t mess it up. This entry was posted in B2B, business, goal setting, graduate, Networking, Philadelphia, success, the ultimate networking event, Thomas Camarda, ultimate networking, Uncategorized, young professional and tagged becoming the ultimate networker, business, business card exchange, business mixer, business networking, business relationships, Center City Proprietors Association, communicate, communication, events, how to network, meetup, networking, networking in philadelphia, personal business cards, philadelphia, Philadelphia Business Journal, Philadelphia Small Business Administration, relationship marketing, the ultimate networking event, thomas camarda on June 25, 2014 by thomascamarda. If I Were 22, Advice For the Class of 2014 and Young Professionals. If you are going on a journey you need a road map or you will travel aimlessly. One of the most important things a young professional can do is map out your journey of success. What will I use as a map, one may ask? Your map is made by setting your goals, writing them down, and keep them in front of you at all times. It seems so easy, but believe it or not, less than 5% actually take the time to do this. When I was 22 someone told me about this and I paid no attention to it. I thought “How can simply writing down my goals actually make me more successful? Just go and do it!” But because of the source of this advise, a man I highly respected , I did what he said and wrote my goals down. One of my goals was to start a small retail outlet to earn additional income. After writing them down I wound up tucking them away in my nightstand draw and forgot I ever did it. The year was 1985 and I was 21 years old. I remember it vividly because of the power of what happened next. At that time I lived in Brooklyn, NY and was a NY Mets fan. As I followed the team I noticed, early in the 1986 season, a bunch of NY Mets video tapes were being produced and thought this would be a great way to make some money. In June of 1986, at a Brooklyn Chamber of Commerce Networking Event, I found a wholesale video distributor that carried a variety of NY Mets video tapes, recapping the best of their games since 1969. I then looked for a location in Brooklyn where I can have an outlet to sell them. In July I contracted a small space in what was then called the Ave I Market, It was only open weekends Friday through Sunday and cost only $165 a weekend. I contracted that space and invested $500 in these video tapes. As the season progressed more and more New Yorker’s were getting excited to see the Amazing Mets and more and more of these videos were selling. The Mets went on to win the 1986 World Series and my little 10 foot by 12 foot booth in this market became the place to get Mets videos. Shortly after the Mets won the World Series they came out with a dozen different commemorative video tapes recapping the 1986 season and that was just in time for the holiday season. Then the market announced they would open 7 days a week from November to January. The rent doubled and sales quadrupled. By the end of the holiday season, my $500 investment paid all the rent for the space and net profit was over $25,000. I continued in that small space until that market closed. Sometime in 1987 I misplaced an important document and rummaged through drawers all over my house. To my surprise, I came across the goals I have written down in 1985 and recognized that the one goal I wanted most at that time had been fulfilled. Now mind you I didn’t even look at this in over 2 years and it had come to fruition. That’s when I realized the power of setting written goals. Since then I have written goals, accomplished them, set new ones. I keep them in front of me at all times realizing that they are my road map to success. Although many years have passed since then, and much success in my life has been achieved, I still am not where I want to be in life. My hope for you is the same for me, I never want to be. I always want to keep striving to be at a better place than I am. I don’t claim to know everything about success, but I know one thing about the recipe for success. Failure is the main ingredient to success and everything you want in life is on the other side of a person’s fear to fail. That’s why most people don’t succeed, simply because they are afraid to fail. Conquer your fear, move forward, fail forward and succeed. Determination is the second most important part of this recipe. Your desire to succeed will drive you through your failures. Inspiration, the 3rd most important. Be inspired by people who have achieved the success you desire. Keep these people around you. Create your inner circle of success. As the saying goes, “Hang around dogs and you’ll catch fleas”. You will become the combination of the top 5 people you spend the most time with, choose them carefully. If you can’t change the people you spend time with, than change the people you spend time with. And finally Motivation. People may think motivation should be higher on the list. I say anyone can be motivated to do anything, but rarely do it. Most successful people will achieve their success because they were inspired to by someone they look up to, not someone they heard speak for an hour and never heard from them again. Although motivation is important in this recipe for success, it is the least important. If you are going to be motivated, get motivated by those who inspire you to accomplish great things. The best advice I can give to you, the young professional entering today’s business world is one word, Listen. The saying goes ‘God gave you two ears and one mouth, listen twice as much as you speak.” Pay close attention to someone when they speak to you. Most everything you want to accomplish with them will be revealed to you by what they say. You will find that, rather selling them on your idea, product or service, you will be, fulfilling their needs and they will be thankful for it. This entry was posted in B2B, business, goal setting, graduate, Networking, Philadelphia, success, the ultimate networking event, Thomas Camarda, ultimate networking, Uncategorized, young professional and tagged #IfIWere22, becoming the ultimate networker, business, business card exchange, business mixer, business networking, business relationships, class of 2014, communicate, communication, determination, events, failure, goal setting, goals, graduate, how to network, inspiration, listening skills, meetup, motivation, networking, networking in philadelphia, NY Mets, personal business cards, philadelphia, relationship marketing, success, the ultimate networking event, thomas camarda on May 29, 2014 by thomascamarda. I ran across this great article on Entrepreneur by LEWIS HOWES, and wanted to share it with all my fellow networkers. 7 Key Habits of Super Networkers. The ability to network successfully can be one of the greatest assets in business. It allows some people to find incredible opportunities, while others just watch from the sidelines. Make small promises and keep them. For details on each step read full article with link below. Let Me Know What You Think, Please Send Me Your Feedback for This Article. Thomas Camarda is a professional networker and speaks at networking events and seminars nationally. Thomas offers Networking training, both one-on-one or for your Networking Group. This entry was posted in B2B, business, Networking, Philadelphia, the ultimate networking event, Thomas Camarda, ultimate networking, Uncategorized and tagged becoming the ultimate networker, business, business card exchange, business mixer, business networking, business relationships, Center City Proprietors Association, communicate, communication, delaware, events, how to network, meetup, networking, networking in philadelphia, personal business cards, relationship marketing, the ultimate networking event, thomas camarda on March 25, 2014 by thomascamarda.